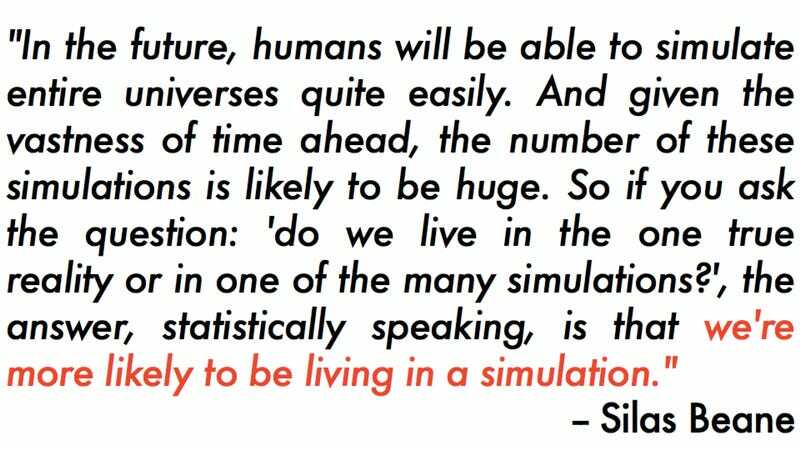 Physicist Silas Beane talks to New Scientist about the possibility that we are living in a simulated Universe, in an interview published earlier today. Back in October, we told you about a paper — written by Beane and his colleagues — that explores how we might go about proving that reality as we know it is, in fact, simulated. That paper has since been submitted to the journal Physical Review D. Read more about it here.